illinoisfarmradio.com broadcast live from Agriculture Day at the Illinois State Fair on Tuesday, August 14th. The broadcast featured interviews with many commodity and ag leaders across the state, to spotlight the importance of agriculture as the state's largest industry. Current issues facing agriculture were also discussed with the guests. 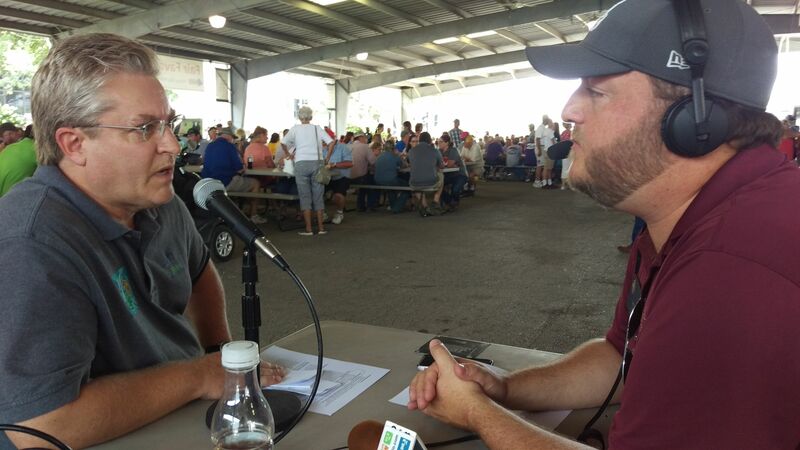 Local farm broadcaster Jared White (left) interviewing Aaron Carlson with the Illinois Corn Growers Association. 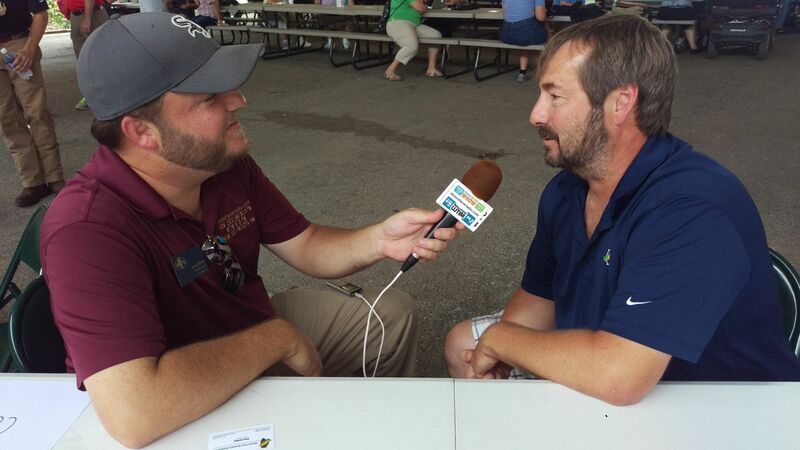 Jared (right) interviewing Jim Martin, a board member with the Illinois Soybean Association.